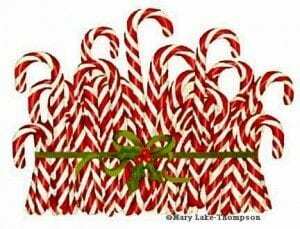 This must be the year of the candy cane! They’re popping up everywhere! This is just cute. 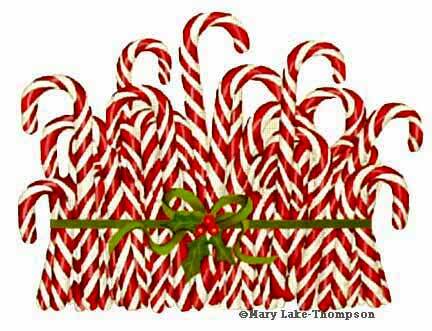 A floral-like bunch of candy canes by Mary Lake Thompson will go with anybody’s decorations at Christmas and into the New Year! This is painted on 18 ct. and measures 10 x 7-1/2″. Ask us to send some wonderful metallics and beads for this one.